National Pollinator Week, June 19-25 this year, celebrates bees and other pollinators while also providing opportunities for all Oregonians to engage in activities centered around these important insects. With no shortage of interest among farmers and the general public, Oregon continues to be recognized as one of the more proactive states in addressing pollinator health issues and understanding the importance of pollinators to the state’s diverse specialty crop agriculture. The Oregon Department of Agriculture, Oregon State University, and a number of other collaborators want to make sure the special week provides a platform for more appreciation and better understanding of the role bees and other pollinators play throughout the year. About two-thirds of the world’s food and fiber crops depend on pollination for reproduction. Commercial honeybees and Oregon’s native bee population are critical to the future of the state’s agriculture. Understanding how people impact pollinators, both positively and negatively, is at the heart of outreach and education efforts conducted by ODA, OSU, and other interested groups. Kincaid first wants to correct a common misconception about Oregon’s pollinators. 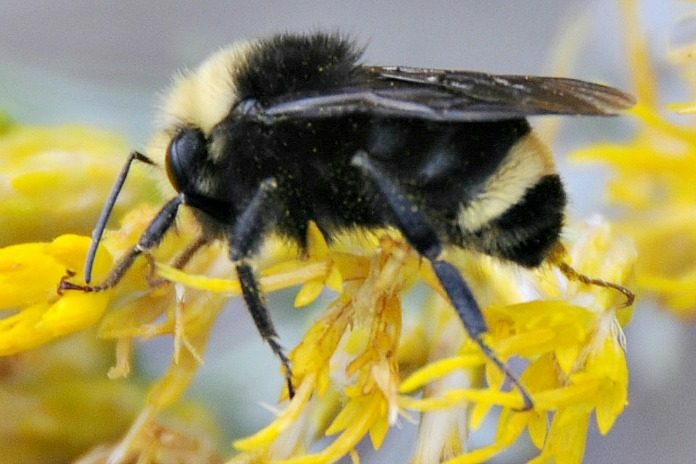 Oregon’s unique nature is connected to its climate and soils, which lead to the production of more than 200 crops that provide a symbiotic relationship with bees. Crops provide the bees with pollen and nectar for biological development, the bees pollinate the crops. Those 200 crops also create what Kincaid refers to as a “sequential bloom” that lasts throughout the entire growing season. Part of Pollinator Week is also designed to educate consumers on their role in protecting bees. Planting bee-friendly plants is also a good way for consumers to help. This coming week will include a number of consumer-directed messages and tips on how to protect pollinators. Those messages will appear in a number of venues, including the launching of the Oregon Bee Project website. Initiated by a Specialty Crop Block Grant awarded by ODA last year, the project is designed to recognize, encourage, and support Oregon farmers and their efforts to protect pollinator populations. The project is supported by the long-standing unique experience of ODA’s Insect Pest Prevention and Management Program, which has identified important native pollinators and their impact on specialty crops. The Oregon Bee Project also involves research and public education. It’s the latter component that will get attention during National Pollinator Week.